UC Santa Cruz is embarking on a new Long Range Development Plan (LRDP) to guide the campus and assist city in planning to 2040. What is an LRDP? Think of it like the city's general plan. An LRDP designates campus areas for certain types of uses, such as housing, classrooms and recreation. It's not an approval to develop facilities or a mandate for growth. It's an important planning tool for providing the infrastructure needed to successfully educate students. 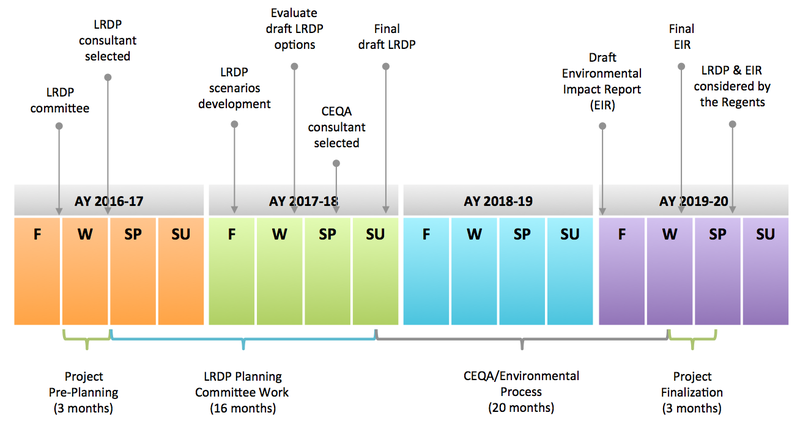 Creating an LRDP takes time, expertise, and collaboration—vital components for a healthy process to which UC Santa Cruz is committed.